Custom SMTP extension for Magento 2 allows sending emails with SMTP servers. 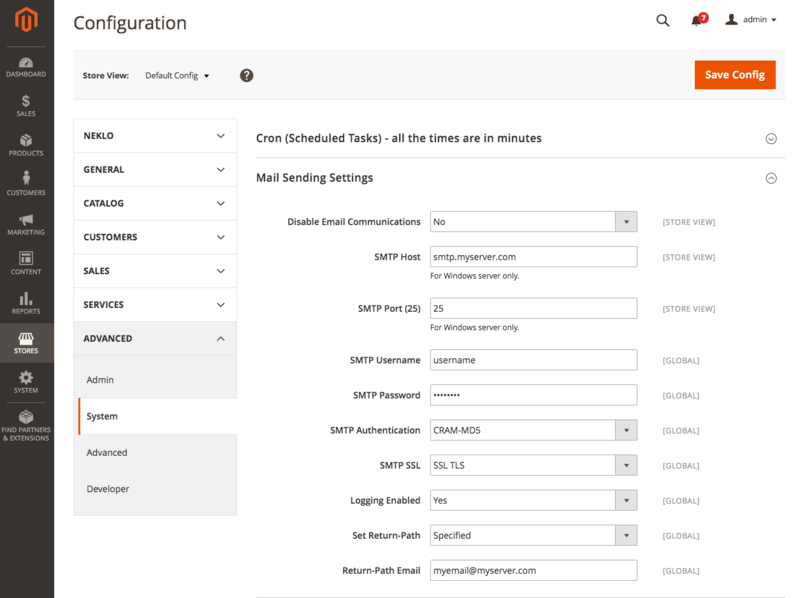 With this extension you will get full control over Magento 2 SMTP configurations. This extension gives you the ability to change the default settings and send your emails with any custom SMTP server required, keeping your data secured. In a vanilla installation of Magento, to send emails with SMTP there should be a properly configured SMTP server. Otherwise, by default your Magento will send emails using a standard PHP sendmail, which may have a negative effect. Emails marked as spam or rejected are common issues in this case. 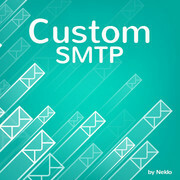 Here, Custom SMTP extension proves to be the right tool to solve the problem. With this extension, you will be able to easily configure SMTP for your Magento 2 and send your emails securely with any custom server required. Having installed the extension, you will get a plenty of great opportunities. You will be able to set authentication and connection parameters according to your needs, as well as use reliable providers to send your emails. When it comes to online sales, the way you treat your customers determines whether your business will be a success or a failure. Here a smooth interaction matters a lot. With the Custom SMTP for Magento 2 you will be able to provide all the relevant information to your customers whenever it is needed. With this extension you can be sure that your customers will receive all your invoices, promo codes, order reminders and confirmations on time. Whether you send emails with your Magento or let your customers pay online, security is everything. The extension saves your data on your server, safe and secure. No information will be lost or disclosed to third parties. Email rejection is a serious issue store owners come across. Custom SMTP gives you the opportunity to use reliable email providers like Google or Yahoo to reach your customers 24/7. To sell effectively, it is crucial that your emails get through to your customers. Custom SMTP extension will deliver your emails straight to the inbox. Configuring SMTP for your Magento has never been so easy. Configure port, host, set authentication and connection parameters and use an SMTP server that is best for you. Your emails will reach the recipient. Advance Reindexer Extension allows you to trigger data reindexing on your Magento 2 Store using admin panel. Magento 1 allows you to reindex data using your admin panel, but in out-of box Magento 2 there is no such a feature. With Reindexer extension by Neklo you can now reindex your Magento 2 data from admin panel any time in’s necessary. No more hassle with command line and cron jobs, only a few clicks and you are done. Cron job is an element which is essential for correct online shop performance. Cron Job Runner by Neklo is created to make cron scheduling easy for you. We offer you a simple tool which allows you to manage all the repetitive processes exactly when you need to do so right from the admin panel. With Cron Job Runner you can assign and reschedule actions easily and do not need to be concerned with using cPanel or adding crontab commands.